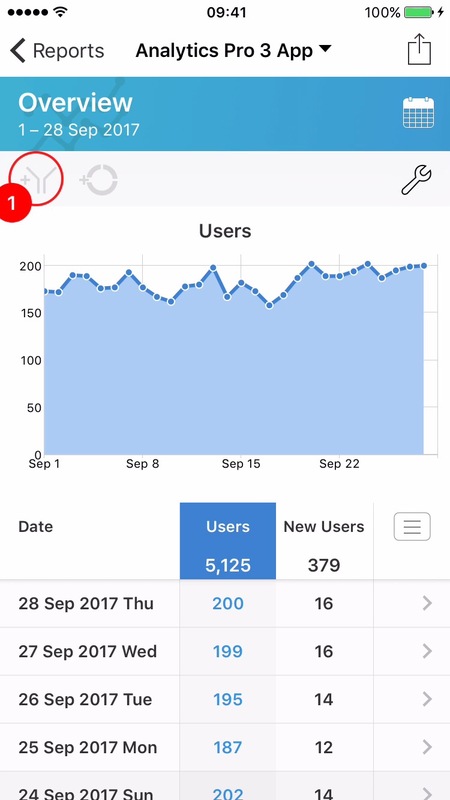 This tutorial shows how to add a filter to a report. 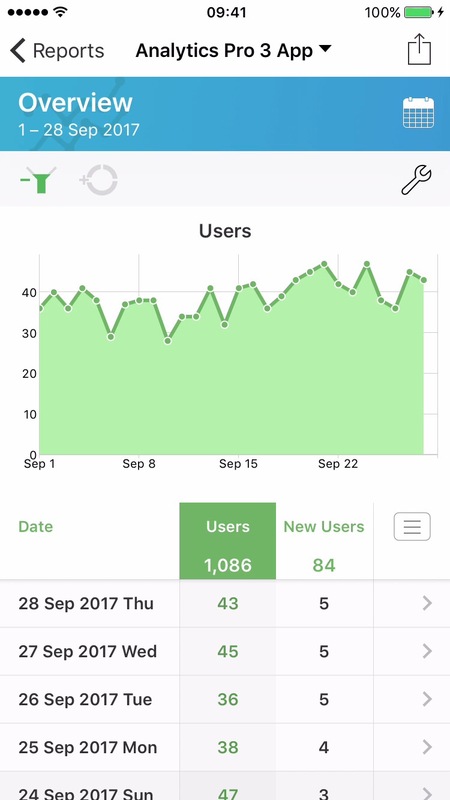 This will display the 'Filters' menu. 2Select '+ Add Filter' from the menu. 3Select a filter type from the menu. 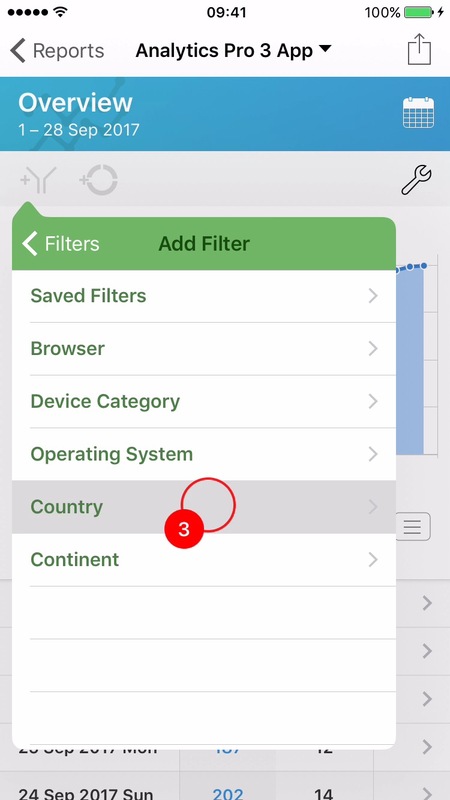 In this example 'Country' is selected. 4Select filter from the menu. In this example 'United Stated' is selected. 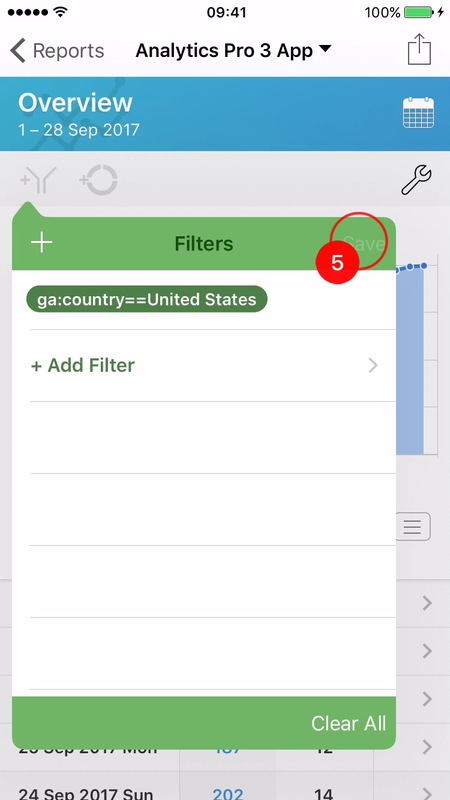 5The filter 'ga:country==United States' has been added to the list. 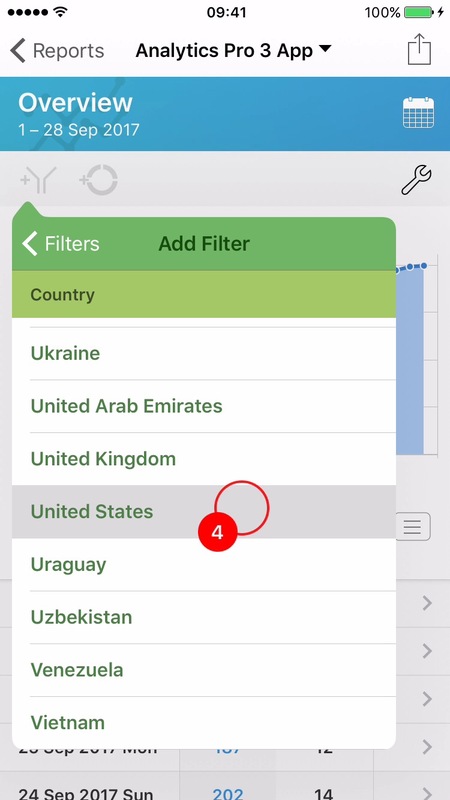 The list of filters shown here will be applied to the report. Select 'Save' to apply the filter(s) to the report. Note that if multiple filters are selected, they are combined using the AND operator. 6The report will reload and update after fetching new data. 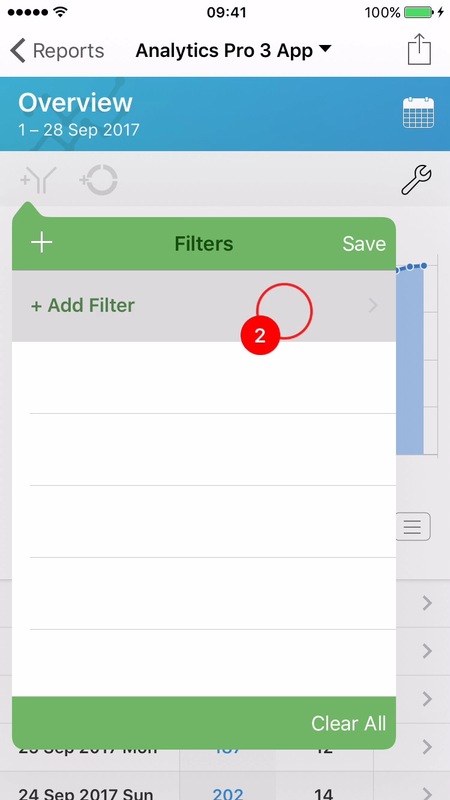 The green color is applied to the graph, data and filter button to indicate that a filter has been applied.